When the ambulance came for Yusuf Kabba, his family wailed and said their last goodbyes. That ambulance surely meant death. Everyone else it took away never came back. It was October 2014, and Ebola was at its peak in Sierra Leone. he deadly virus shook the West African nation and the world. In the early months of it no-one knew what was going on. When Kabba caught the disease, he and his family and friends had no idea you could survive it. 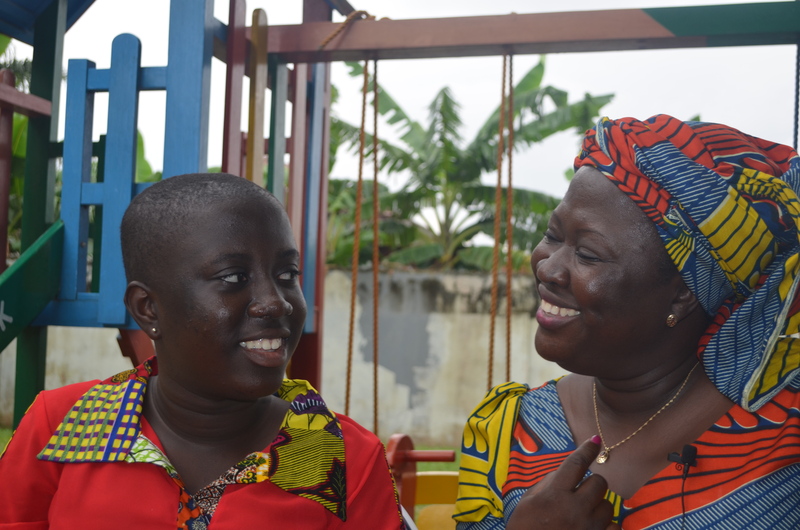 Now 28 with bright eyes and a wide smile, Kabba is living proof that Ebola is curable. 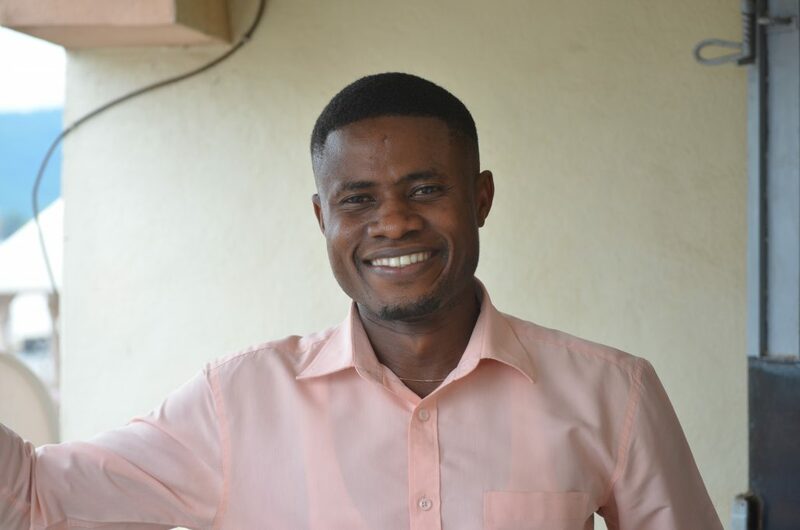 As president of the Sierra Leone Association of Ebola Survivors, he has dedicated the last three years to advocating for his fellow survivors. Since May 2014, the virus has killed around 4,000 people through the country. That’s just officially: experts believe it could be higher. Luckily, Ebola’s shelf-life in Sierra Leone was fairly short: in November 2015, Sierra Leone was declared Ebola-free by the World Health Organisation. “Surviving Ebola was a miracle,” Kabba says exactly three years after he went through hell fighting the disease. Yusuf Kabba posing with some of his fellow Ebola survivors. The disease started in the east of the country but soon spread to the over-populated capital, where Kabba lived. He caught it from a doctor, who didn’t know he was infected. When Kabba started getting ill the ambulance came for him. The ambulance took Kabba to a holding centre where he was left for a few weeks to be tested for the disease. Waiting for those results was torture: the center was appalling, and the horrors of it are still fresh in Kabba’s mind. “I saw a large number of dead bodies. I was really confused about that. The place was not tidy. You would see people vomiting blood everywhere, everything was untidy, no caring.” People were left without treatment “just suffering and dying” while they waited for their results. Sometimes the bodies were left in the center for days. Kabba found the energy to argue with medical staff about the poor system they were running. “I believe in talking about things I think are not right,” he says. “I was really arguing with them…” all while showing the telltale signs of Ebola, like vomiting blood and excessive diarrhea. But he didn’t die, and while the Ebola holding center he was in seemed inhumane, his health workers hadn’t actually given up on him. Kabba was taken to a treatment centre, where he saw firsthand that people could recover from the Ebola virus. Within two weeks at the treatment center, he had regained enough strength to walk down a corridor. As he did so, he heard the sounds of everyday living through a window, and knew then that he would rejoin the outside world. Kabba is living proof that Ebola can be survived. 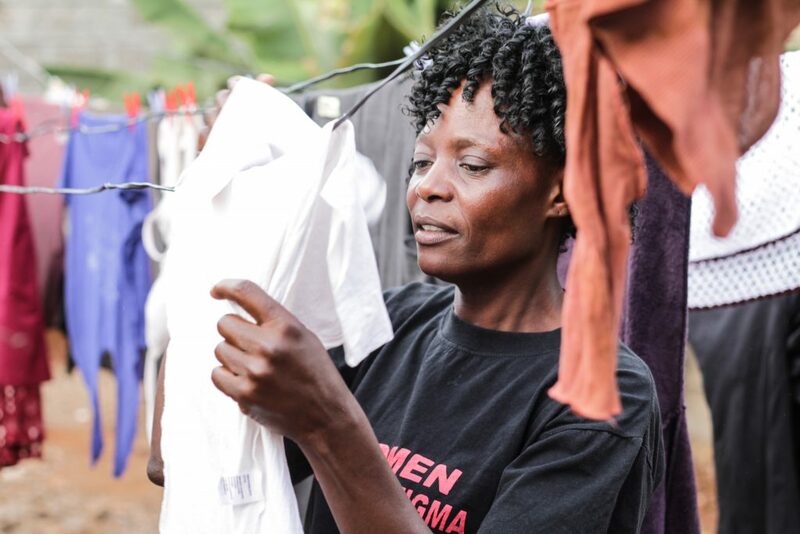 Surviving ebola meant a new beginning for Kabba. After he recovered, he went to visit other patients still fighting Ebola, trying to show them that “hope is alive” and to keep fighting. And over the past three years, his organization has tireless worked to advocate on behalf of Sierra Leone’s Ebola survivors, and to end the disease’s grip on the nation. Although Ebola may be gone from Sierra Leone, Kabba and his co-survivors are now fighting its ghost: stigma. “People think we are contagious,” he says. Through hard work and perseverance, Kabba his team and other campaigners have worked to integrate survivors back into their communities. A major coup was getting Sierra Leone president Ernest Bai Koroma to meet with and publicly support Ebola survivors. With the stigma of Ebola now largely overcome, Kabba’s group focuses on advocating for improved medical care in Sierra Leone, especially for Ebola survivors. While his health is okay, Kabba says that many fellow survivors suffer from a variety of ailments, including blindness, insomnia, fatigue, and impotence. The weakened immune systems of Ebola survivors also can lead to deaths. Despite it all, though, Kabba is living prove there is life after ebola. “All of us who have gone through this believe in a pathway towards a brighter future,” he says. 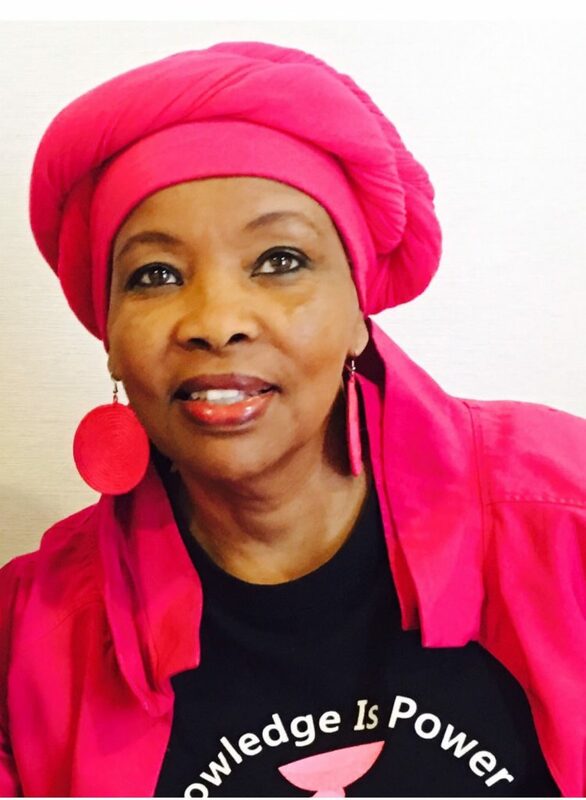 Teaching is, and always has been, Philippa Kibugu-Decuir’s calling: from the time she was a little girl giving lessons to her playmates, to her combined 28 years teaching English and Special Education in Houston, TX. Operating in both the U.S. and Rwanda, BCIEA’s mission is to improve and save the lives of low-income women in East Africa by providing access to information about breast cancer prevention, detection, diagnosis, and treatment. By conducting awareness campaigns and training local breast cancer survivors and volunteers to educate their neighbors, BCIEA combats misinformation and increases breast cancer awareness one person at a time, one village at a time. Kibugu-Decuir has strong personal ties to central East Africa. Born in Rwanda, she was raised and educated in Uganda. Her two children were born in Kenya. Much of her extended family lives in Tanzania. Such close-knit ties to such a vast region have influenced Kibugu-Decuir’s approach. Kibugu-Decuir launched BCIEA in 2008 using Rwanda as an incubator to develop her strategy and programs, with plans to replicate her successes in neighboring countries. Even with a focus on a single country, however, disseminating accurate breast cancer information in the region has proven a steep uphill battle. Since the 1980s, breast cancer awareness as a health and social advocacy movement has become such an ingrained part of the collective American mindset that a basic understanding of and about breast cancer is almost assumed as a given. The absence of breast cancer knowledge that preceded this decades’ old push in the U.S., however, still exists in much of East African culture. We’re talking about a medical and social issue steeped in ignorance, misinformation, myths, silence, and stigma. In Rwanda, for example — which she says is indicative of the larger East African region — breast cancer was initially viewed as a disease exclusive to rich white people. Lumps and breast anomalies in black women were rather viewed as a curse, deserving of fear, shame, guilt, and ostracization. In fact, Kibugu-Decuir notes, Rwanda’s national language, Kinyarwanda, has no word for cancer. These issues of avoidance and misinformation, coupled with widespread poverty, illiteracy, and severely limited or no access to screening and cancer care services like mammography, radiation, and chemotherapy, contribute to incorrect and delayed diagnoses. Many women in Rwanda and East Africa don’t know they have breast cancer until the disease has reached an advanced stage. Rwanda’s national language, Kinyarwanda, has no word for cancer. With early detection and treatment, however, many of these deaths might be prevented. “We are working hard to convince Rwandans and East Africans that breast cancer is not a death sentence, does not discriminate, knows no boundaries, and that men, too, can have it,” Kibugu-Decuir says. So how do you get people talking about an issue just the mention of which may be considered fatal? The first step, she says, is to earn people’s trust. In this, Kibugu-Decuir has a special advantage. Not only does she speak the language and have ties to the region: she also has strong personal ties to the breast cancer experience herself. Kibugu-Decuir’s history with breast cancer, however, doesn’t actually begin with her own diagnosis. It begins with that of her eldest sister, Mabel. 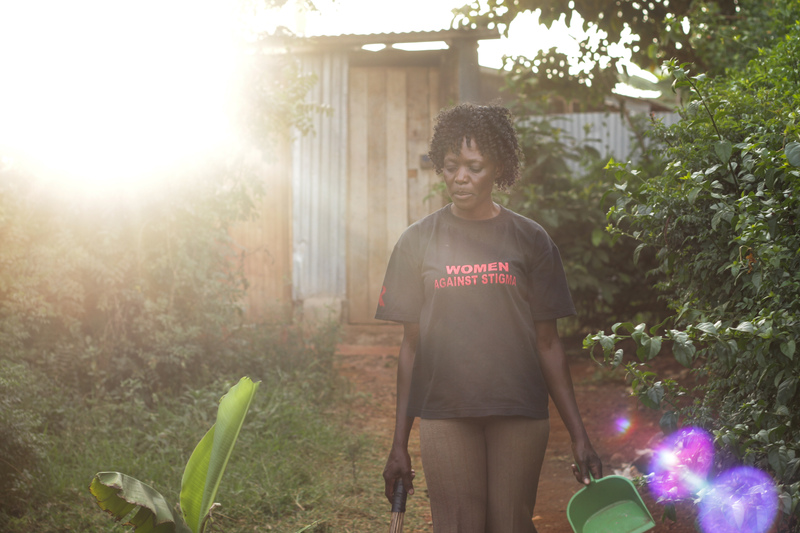 In East Africa, breast cancer is often viewed as either a curse, or an affliction that only effects white women. Neither is true. Mabel was rarely sick, Kibugu-Decuir says, and, like her contemporaries, knew little about breast cancer. Unfortunately neither did her doctors. 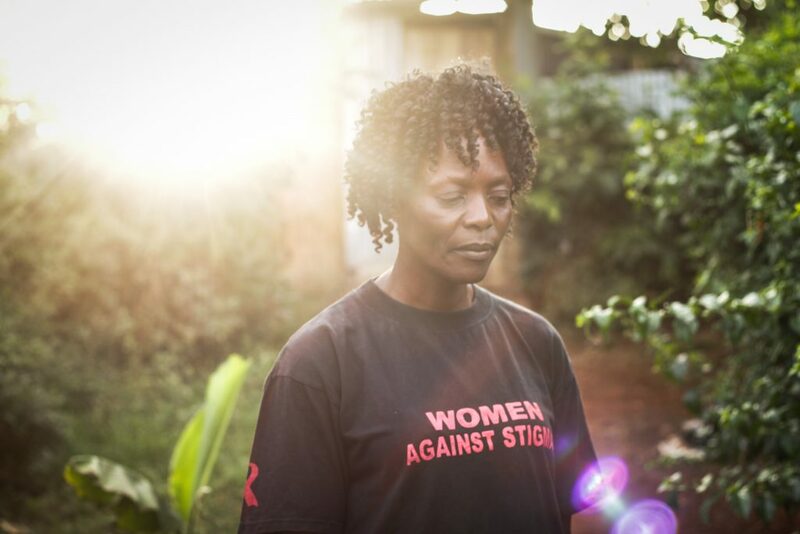 When Mabel fell ill in the mid-1980s, there were no cancer care services or support groups in the Democratic Republic of the Congo’s capital city of Lubumbashi where she lived. There were no early detection screenings. There were, in fact, no oncologists. To the medical establishment at the time, Mabel’s illness was a mystery. By the time she was airlifted to London for surgery, the cancer had already spread to her liver. Mabel died of metastatic breast cancer in 1986. 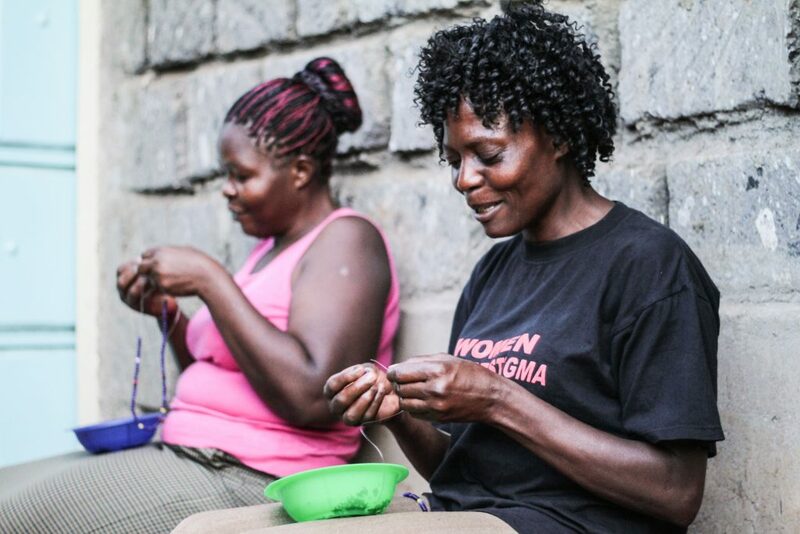 Kibugu-Decuir underwent a double mastectomy with reconstruction and chemotherapy. For all the resulting side effects — including pain, hair loss, nausea, and despair — she recognized the advantages of her situation. Unlike her sister, Kibugu-Decuir had options. She had hope. The dichotomy between her experience and her sister’s left Kibugu-Decuir with two nagging questions. Would Mabel still be alive if she had lived in the U.S.? Should where someone lives determine if they live or die? Disturbed by these questions, Kibugu-Decuir determined to do something to disentangle cancer survival from the sheer luck of geography. To raise money for a fact-finding mission to Rwanda in 2007, she sold off some of her clothes at a silent auction held in her living room. Despite a population of more than 10 million at the time, Rwanda had zero oncologists, or any form of cancer screening, treatment, or palliative care, Kibugu-Decuir says. Of 10 doctors she surveyed on her fact-finding trip, only two had ever even heard of breast cancer. She also met a group of 27 women whose “mind-boggling” cancer experiences encapsulated the need for action. Each of the women had had at least one breast removed by the equivalent of a family doctor or general practitioner. None had received pain medication or post-surgery follow-up care. One woman’s doctor had removed the wrong breast, but she was unwilling to undergo a second surgery, preferring the inevitability of death with one breast intact. If women couldn’t access the information needed to keep them alive, then the information needed to go to them. Kibugu-Decuir’s instincts as an educator kicked in. If women couldn’t access the information needed to keep them alive, then the information needed to go to them. Kibugu-Decuir — and therefore BCIEA — had to take the message to the people. Kibugu-Decuir trained the 27 women to become BCIEA’s first village ambassadors, carrying up-to-date breast cancer information and their experiences to their communities through civic events, church and professional groups, youth programs, and one-on-one’s. By sharing information through already trusted members of these communities, BCIEA facilitates conversation, spreading awareness and helping combat misperceptions that would otherwise silence discussions before they’d ever begun. 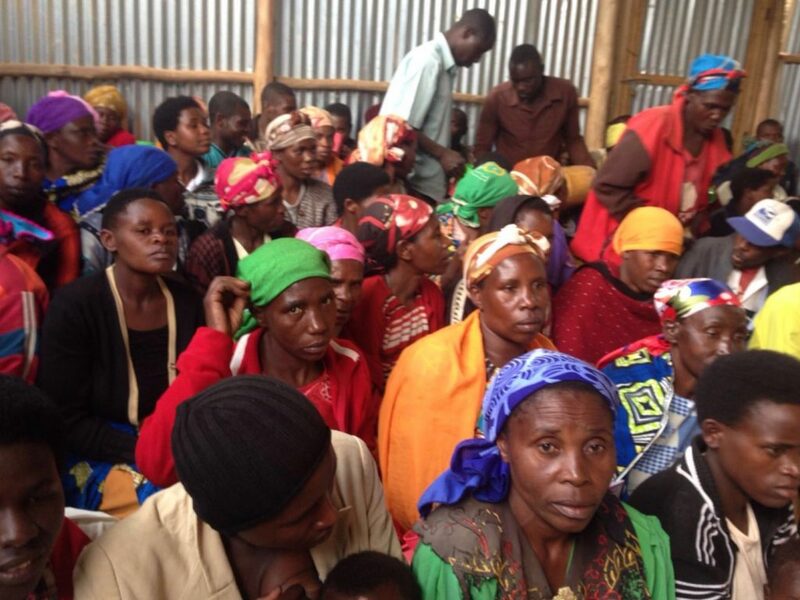 Rwanda has made notable strides in cancer care in recent years. The country now has two oncologists and has opened its first national referral facility in northern Rwanda. But with so little access and information still available to most of the population and the ability to go abroad for treatment restricted to those who can afford it, combating breast cancer for much of the country’s poor rural and urban women is left to the women themselves. “BCIEA’s goal is to place the Rwandan woman at the steering wheel as the key agent of change,” Kibugu-Decuir says. In the absence of mammography, for example, women are trained how to conduct breast self-exams, empowering them with preventative knowledge for themselves and future generations. By 2016, 24 of the original 27 village ambassadors had died. But thanks in large part to their efforts, nearly 9000 people had been reached with potentially life-saving information. 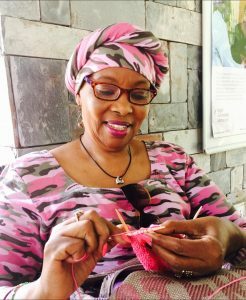 Kigubu-Decuir’s work advocating for breast cancer victims has gained her friends around the world. BCIEA has 17 ambassadors currently active, and Kibugu-Decuir has begun to expand the organization’s reach by way of an app that provides basic breast cancer detection and treatment information. She is also working to raise enough money to provide one smartphone loaded with the app to each of 250 Rwandan villages. She estimates 250 ambassadors each equipped with a smartphone have the potential to reach up to 200,000 people. “If I can get support for [the One Smartphone Per Village program], we can exponentially cover the whole country with awareness,” Kibugu-Decuir says. The program also lays the groundwork for expansion into Uganda, Kenya, and Tanzania. While BCIEA’s primary focus is to increase survival through early detection, the organization also works to support women during and after diagnosis. In this way, Kibugu-Decuir’s education efforts turn from the preventative to the practical. 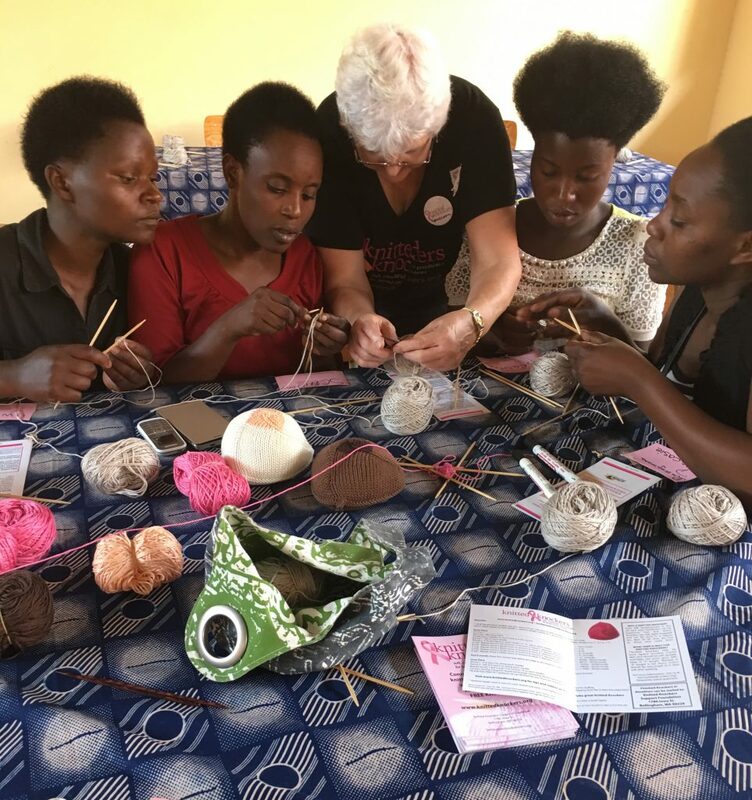 This past October, for example, Kibugu-Decuir worked with Barbara Demorest (whom Folks featured last summer) to bring Demorest and volunteers from Demorest’s organization, Knitted Knockers, to Rwanda to teach 30 local women how to knit yarn-based breast prosthetics. 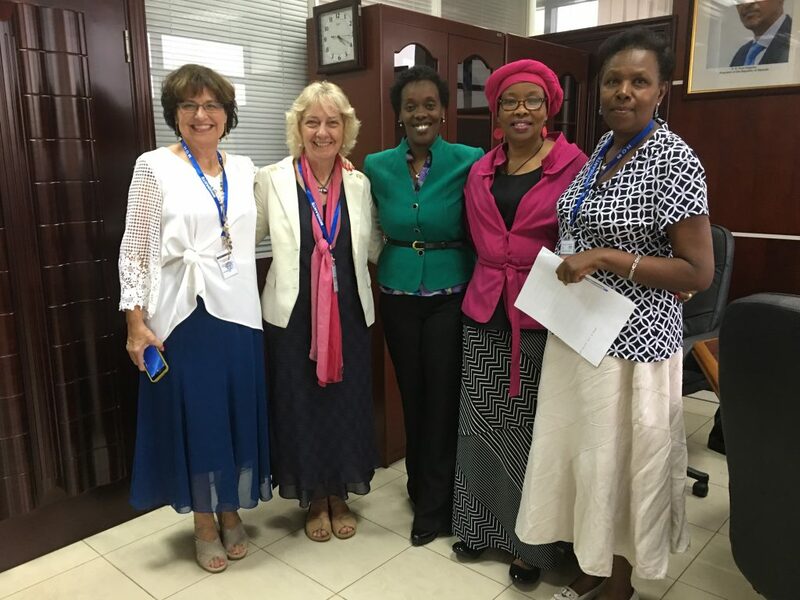 Although Kibugu-Decuir emphasizes that she’s “a teacher, not a politician,” BCIEA collaborates closely on activities and events with Rwanda’s Ministry of Health and Non-Communicable Diseases Department. She has also met with Parliamentarians and Rwanda’s First Lady. 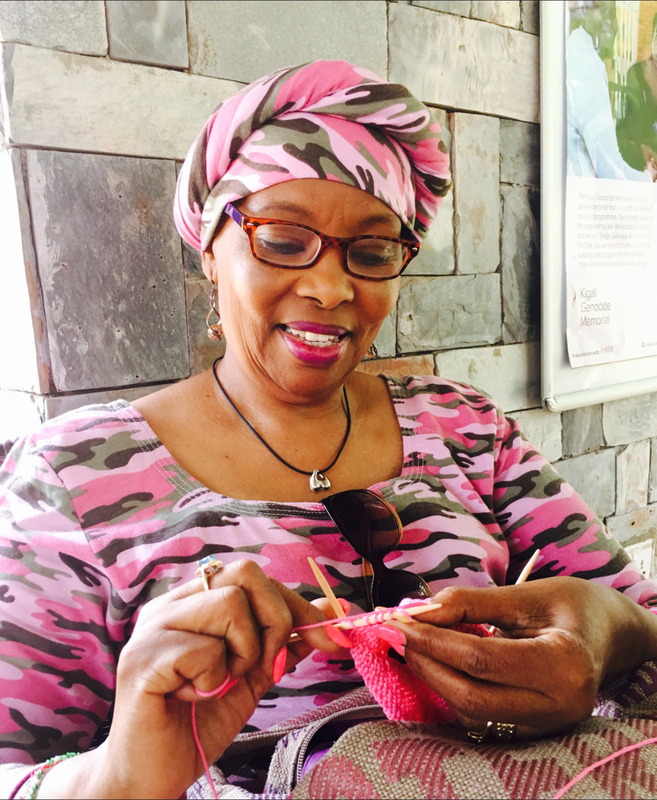 Members of Breast Cancer Initiative East Africa and Knitted Knockers have teamed up to make knit prosthetics for women who have had mastectomies. 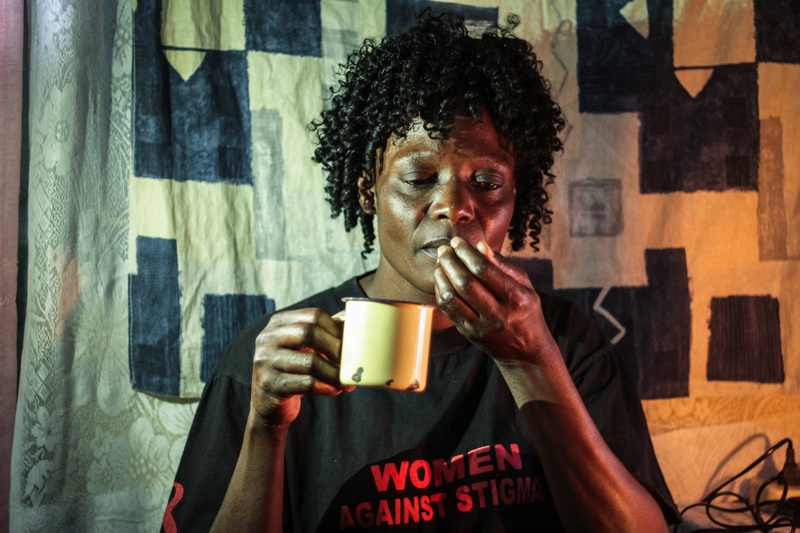 In 2008, the crying woman had been diagnosed with breast cancer but had been denied a visa to go abroad for surgery: the government refused to grant medical visas to anyone who could be treated inside Rwanda. Barred from leaving the country, the woman resigned herself to die. Then she came across an article Kibugu-Decuir had written that same year, urging Rwanda’s government to establish a policy to address the country’s need for cancer care services and clearly articulating the absence of available treatment options. Ceiling fans, planes flying above her hostel and anxiety over school work used to send Sandister Tei into a state of panic and shakiness. When she went to a local doctor in her home country Ghana to try find out why she was having strange thoughts and these physical reactions to them, she was told she had malaria–a common disease caused by mosquito bites in this West African country. At 19, she knew this diagnosis was wrong. She knew what malaria felt like, but didn’t see the connection to her current state. Sandister Tei was 19 when she started suffering from anxiety attacks. She was diagnosed with malaria instead. So, she did her own research on Google and happened upon the word “serotonin,” telling her that what was going on was more likely to do with a chemical imbalance. It got her thinking about how she was as a child, she often suffered fatigue and would worry a lot. People would accuse her of being lazy, or that she kept to herself too much. Her school work suffered as did her self-esteem. Thanks to Google, she had some light thrown on her situation. 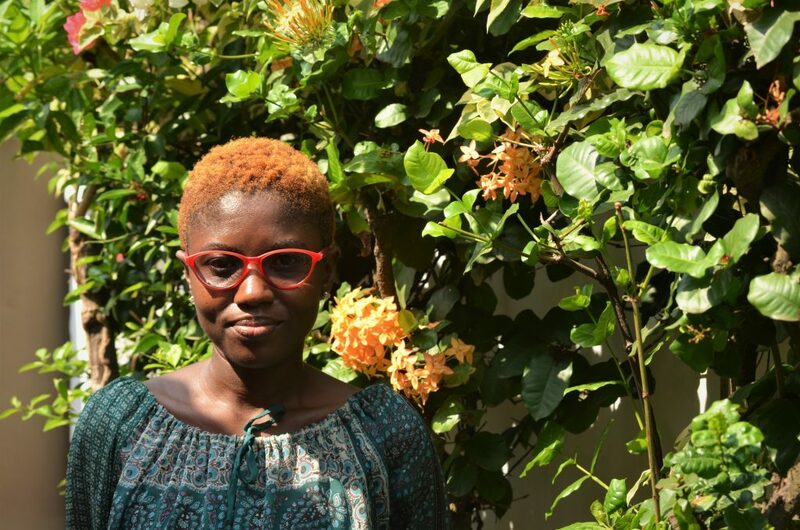 “I did more and more reading and realized this thing is not as exclusive: there are others out there,” Tei, now 30, and an online journalist for one of Ghana’s top media houses, recalls. She found ways to try and cope and deal with her mental health problems, but it affected her university life. She was studying geography at the University of Ghana when she started working towards a career in journalism, kicking it off with the student rags and local newspapers. She then started blogging, and posting on Facebook, which lead her to wanting to work in online journalism. 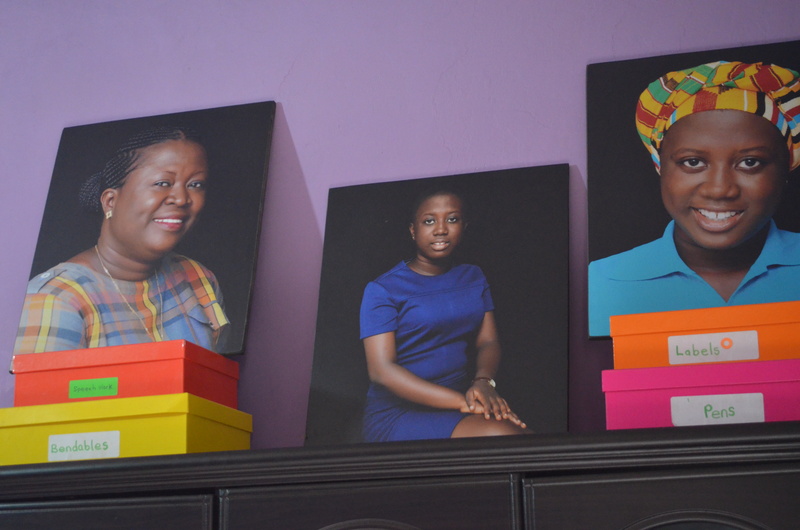 Tei sought out opportunities to learn more about online journalism, with her eyes set on studying outside Ghana, as she did not see any courses within the country that had this focus. In 2013, Tei landed a scholarship to do her masters in journalism at Cardiff University in Wales. It was in Wales that she went to another doctor and was properly diagnosed with depression. That diagnosis and the treatment turned her life around, her grades improved as did her energy levels. It got her thinking about the years she suffered in Ghana, because no one was able to tell her what was going on with her health. 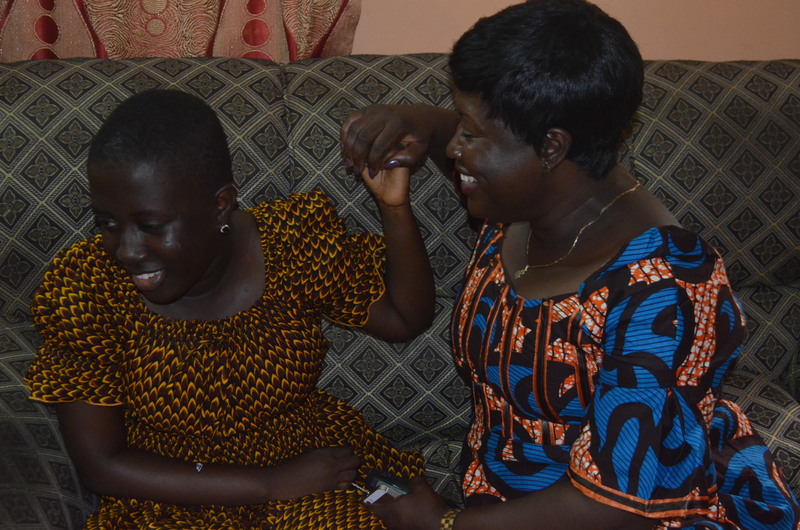 When she came back to Ghana in 2015, she felt it was only people who knew about mental illness that would speak about it. There wasn’t too much education available on mental health. “It wasn’t a national conversation,” she found. This is something the experts echo. 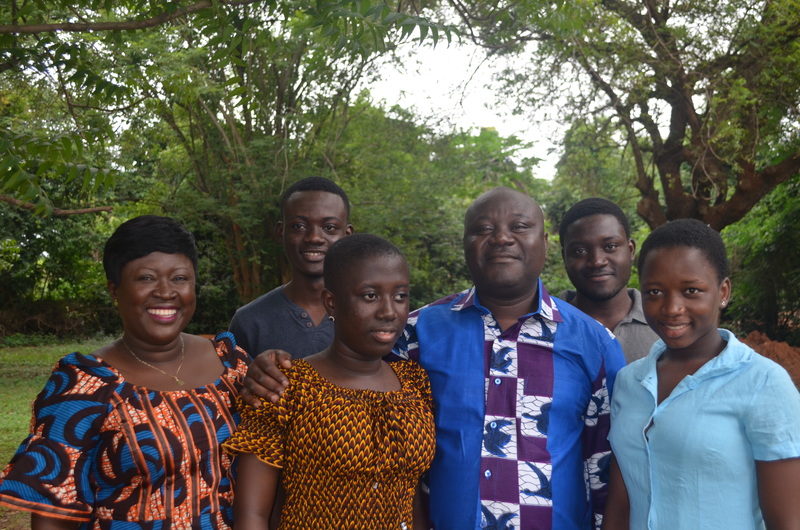 In 2016, Executive Director of the Mental Health Authority, Dr. Akwasi Osei, told local media mental health care in Ghana needed critical attention. He said Ghana’s doctor-patient ratio in the mental health sector stands at 1:1.7 million as compared to 1:1 million in Nigeria and 1:50,000 in Kenya. He quoted a report that suggested 41 percent of the population, predominantly women, suffered from mental distress and depression. 41 percent of Ghana’s population, predominantly women, suffer from mental distress and depression. In late 2016, nurses from the Accra Psychiatric Hospital went on strike to highlight how dangerously underfunded the facility was. It is often in the news for not having the means to feed and medicate its patients. In the capital Accra, it is hard not to notice the number of mentally unstable people left to fend for themselves on the streets. With this context, Tei decided to start a mental health support group in Accra. A friend organized a free space for her to hold the meetings, and she named the group Purple People – an affirmative name for an affirmative group. There are about a dozen members, they can meet each week, whoever feels like meeting, can do so. Tei Sandister founded Purple People as a way to help raise awareness of mental health in Ghana. Tei keeps contact with the members in a private Facebook group, and then has a public page to post articles on mental health and to advertise the group meetings if people want to join. Purple People seek to listen to each other on common experiences, share and shed light on coping strategies to help each other while also encouraging members to seek professional help. Since she advertises the group through social media and a blogger email list, she has found most of the members are professionals in Ghana, aged 27 to about 36. There are health care workers, an entrepreneur, software engineer, an environmentalist and Tei is a journalist. 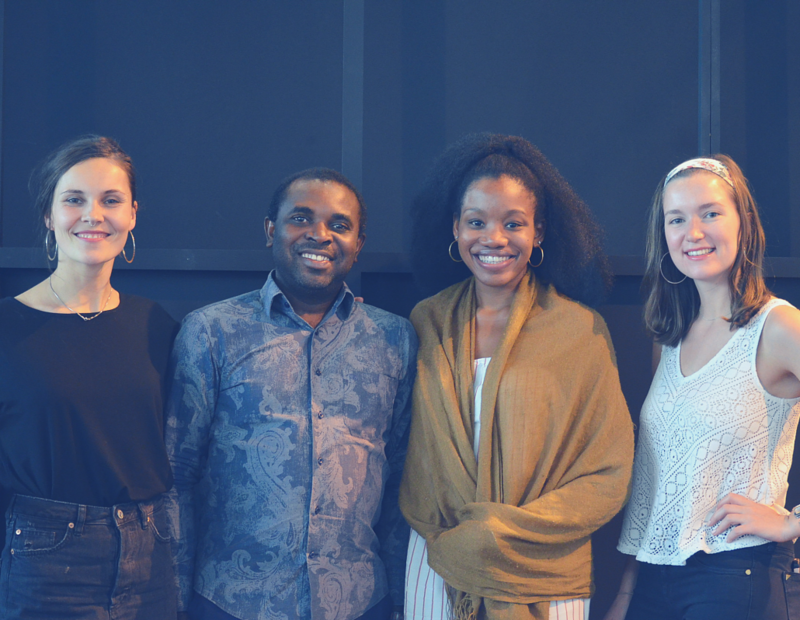 While the group members are well-educated, living in Accra, eventually Tei wants to be able to target those in this country who might not have the same access to information. She plans to try spread the message of her group in one of Ghana’s local dialects–Akan, through local radio stations in the future. With the current formation of Purple People, she says, people don’t just connect in the weekly meetings. When this happens, members will rally and get the person the help they need. Despite starting the group, Tei also uses it to learn more about her own issues. Last year, amid work-related problems, she started developing intense anxiety. She turned to the group for some pointers on what was going on and how she can help manage it. In Ghana, if a person seeks treatment for depression, they are likely to be taken to a hospital or a church group. Another member of the group held a session for those who wanted to learn more about anxiety and shared coping mechanisms. However, Tei is quick to point out that the group does not try, or seek to treat people, but instead helps them finds ways to get treatment, or deal with issues. They support each other to go to the hospital to get professional help. 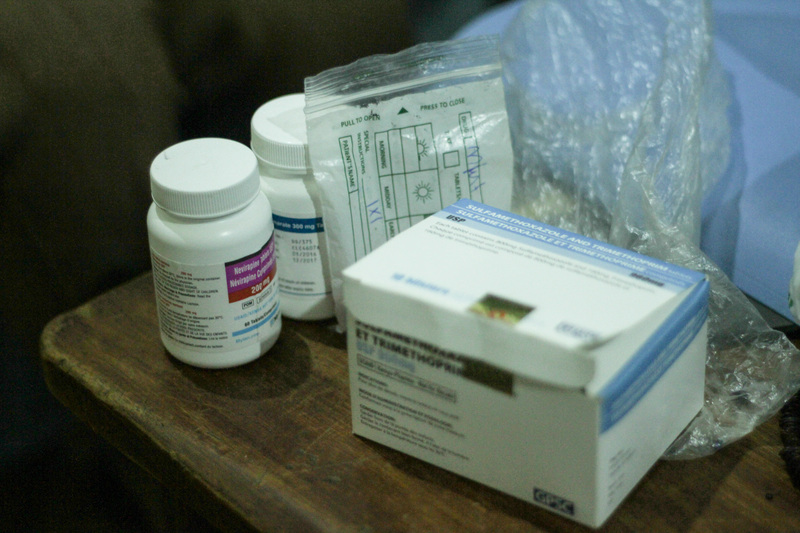 Tei explains that in Ghana, if a person seeks treatment, or someone seeks it on their behalf they are likely to be taken to a hospital, or a church group. 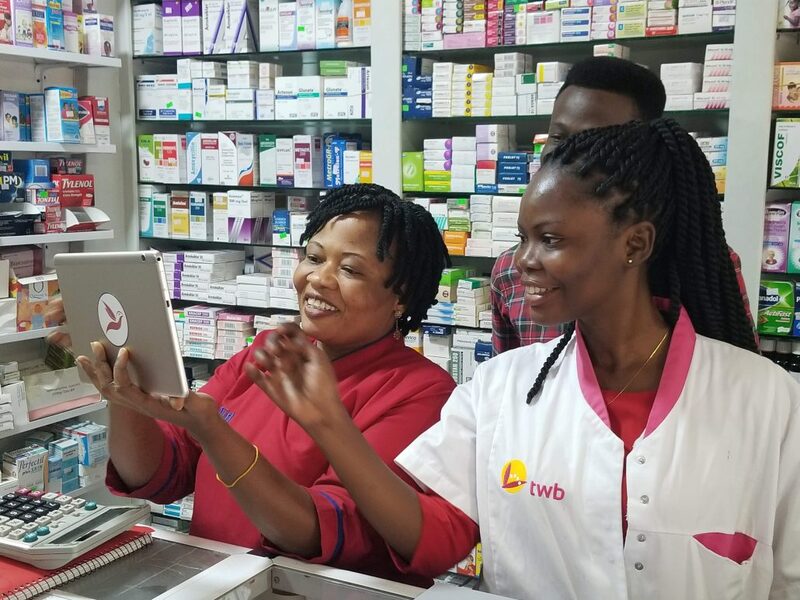 Ghana does not have the General Practitioner (GP) system many western countries have. In cases where someone might be aggressive, Tei notes they might be checked into a psychiatric hospital, though depending on who is trying to help them, they might end up at a church, under the belief that prayers will fix them. It was Google that helped her realize her racing head wasn’t malaria, and it was through the internet she brought Purple People together. And with her whole work being about being online, this extends to the little free time she has as well. Tei is involved with the Wikipedia community, where she edits Wikipedia Ghana. 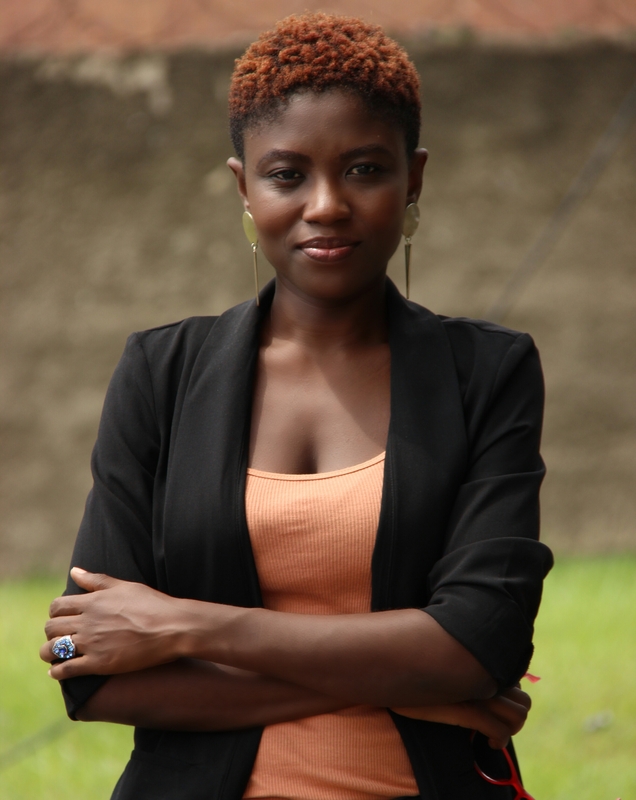 She is a co-founder of the Wikipedia Ghana community, and one of its representatives. While she had to search hard to identify what was going on with her 11 years ago, Tei says there is a lot more mental health awareness and advocacy in Ghana now. Those who feel like they are lost in the dark luckily have more avenues to turn to. Those who feel like they are lost in the dark luckily have more avenues to turn to. “I have turned on the radio a few times and heard people talking about mental heath, and I have read a few articles here and there of people talking about depression. “I have sat in meetings where people have come out and said ‘Hey I am depressed, have anxiety or am panicking’,” Tei says. Like any young, aspiring rapper, Kennedy Ayikwao oozes confidence. He’s not shy to point out he inspires himself; he brags that he will win a national music award for his work within a year. His raps are about his favorite subject: himself. He raps about his life, his struggles, his ambitions, and his love for his art. Surrounded by friends and fans at his university campus in the West African nation of Ghana, Ayikwao–whose stage name is Kenzey– is most in his element spitting rhymes, rap-battling with a friend to a beat made by a crowd slapping their chests and feet. Ayikwao puts all the money that comes his way into recording and promoting his music. He jokes that he is living off rice so he can pay to get his latest single out there to the masses. So in most ways, Ayikwao is the quintessential rapper. The only difference is, Ayikwao can’t see what’s going on around him. After losing his sight as a child due to a medical accident, the University of Ghana student, now 22, uses rap to talk about his experiences as a sight-challenged person living in Africa, and to speak out for the vulnerable in his society. Born in the capital Accra, where he now studies, Ayikwao started losing his sight when he was four. It was a gradual, and unfortunate loss, he says. At four, Ayikwao’s family first noticed he had issues with his sight when his father handed him a toy airplane. He was unable to locate it. 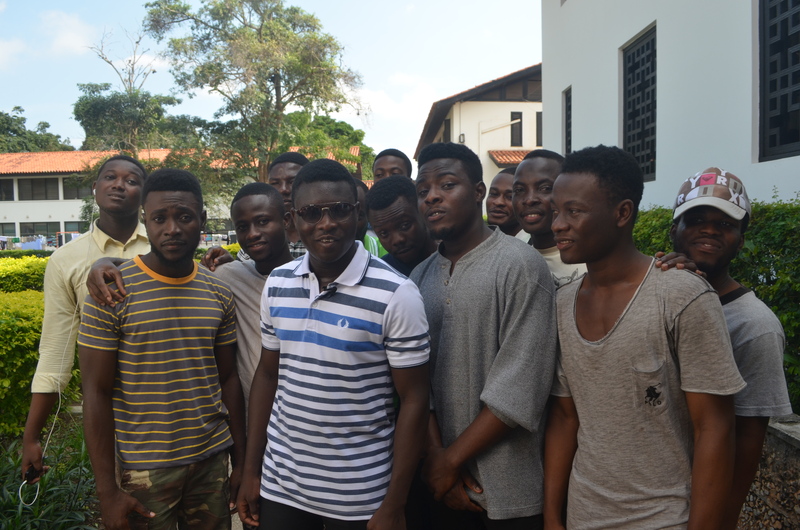 Ayikwau and his posse of fellow students at the University of Ghana. Depression followed. Ayikwao went through a phase of not wanting to leave the house; he stayed in his room all day, crying. But soon, the shy child realized he needed to pull himself together. He couldn’t spend the rest of his life in a bedroom that was fading away with his sight. When his father bought him a bike, Ayikwao decided to learn to ride it, taking advantage of the sight he still had, while he still could. When Ayikwao finally lost his sight completely around 2007, he was moved to a boarding school for the blind in the eastern region of Ghana. Eventually, he graduated, and moved on to the University of Ghana in Accra, where he still studies. 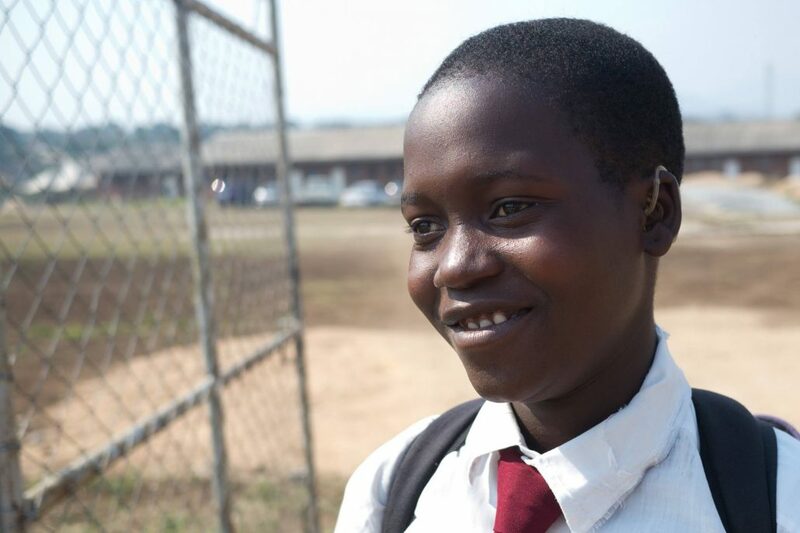 But life is a challenge; Ayikwao is quick to note the realities of being blind in Ghana. “I have to make use of those around me,” he says. “I can’t be fully independent.” For example, the cedi–Ghana’s national currency–has not been designed with visually impaired users in mind. “It’s not like the dollar, where there are marks on it to make it possible for visually impaired to identify the amount they have.” You have to show it to someone to check for you to see how much the bill is for. Luckily, Ayikwao has a right-hand man to rely on, both on campus and on the stage: his manager and fellow student, Alex Kwaku Frimpong. 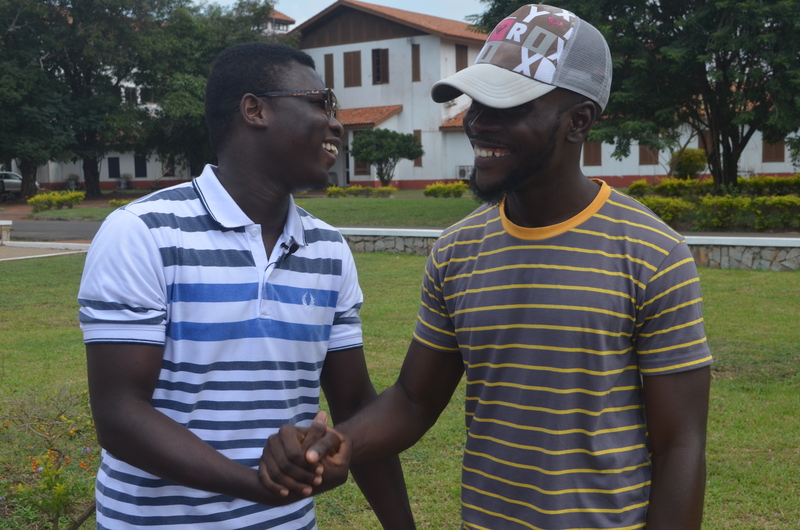 Not only does Frimpong help Ayikwao get by on a day-to-day basis… he helps Ayikwao pursue his life’s major passion, rap. Kenzey and his best friend and manager, Alex Kwaku Frimpong. Before he started rapping, Ayikwao was always singing. As a child, he would pick up songs easily, singing boisterously in church and at family gatherings. In 2011, though, he started rapping. At first, he practiced by reciting the rhymes of Sarkodie, Ghana’s most famous rapper, but soon, his friends were encouraging him to come up with original tracks. As his stage persona, Kenzey, Ayikwao combines English, a local dialect called Twi, and pidgin English to express himself through his music. This year he released a track that details his life history, called ‘I’m A Star’. He sings and raps through it, detailing the inspiration his late mother gave him, assuring him he would one day ‘be a star’. “My music is about my whole life. It is self-inspired and spirited,” he says. His inspiration comes from the things that have happened to him, and the dreams he has; like a rapping Coleridge, Ayikwao says he sometimes dreams entire songs, then wakes up and puts them down to paper. His music has been key to empowering him as a sight-challenged student living in Ghana, but Ayikwao wants to do more than inspire himself. He also wants to inspire others to achieve greatness in their lives. He hopes that by creating and performing his music, he will be able to advocate on the behalf of others who are visually impaired. The future feels bright for Ayikwao. He sees awards in his future. But Ayikwao is also serious about his studies. After completing his political science and philosophy degrees, he wants to study law, with the ultimate plan being a human rights lawyer, keeping his music career going alongside this profession. Working in human rights will be a way to further advocate for Ghana’s vulnerable, he says. 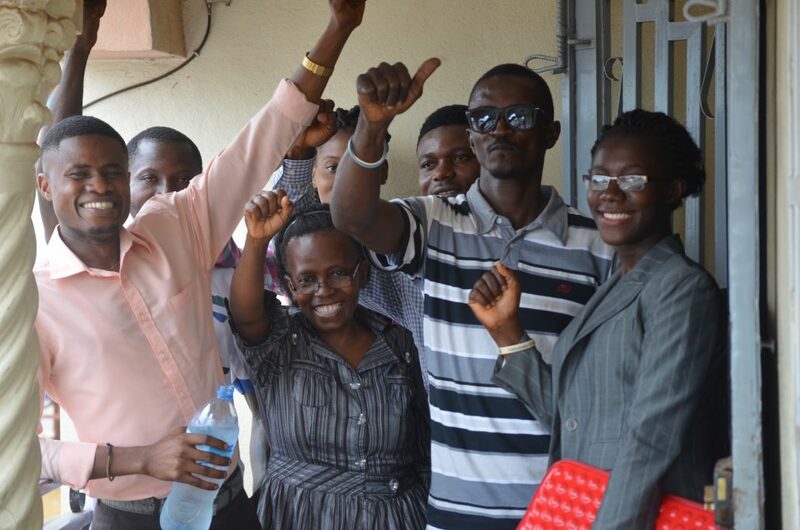 “People get their rights trampled on based on their disabilities,” says Ayikwao. His goal is to change that. He wants his work, both in the studio and the court, to be an “eye opener” in Ghana, changing the way those without disabilities see the blind… and even helping to change the way the blind in Ghana see themselves.